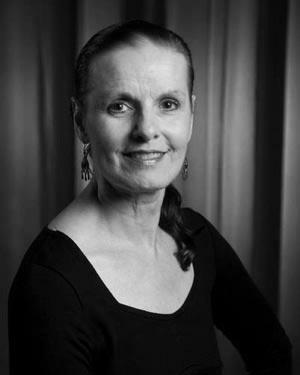 Ms. Conte a faculty member for 30 years has provided choreography and staging for more than 50 productions. And in its 21st year Ms Conte produces the Dance Light Concert in association with colleagues from Design, Production and Management. This is the largest cross option Drama project providing undergraduate and graduate students from all years the opportunity to interact and create new choreographic works. Ms Conte also produces the Annual School of Drama Awards Ceremony coordinating the East and West Coast Drama Clans, and endowed awards from alumni, former faculty and special patrons. Ms. Conte’s other choreographic credits include: Projekt Istropolitana Theater Festival Bratislava, Slovakia, “A Tribute to the Arts” Princess Grace Foundation New York, National Benefit for Astronaut Dr. Judith A. Resnik Washington, D.C., Hello…I’m Not in Right Now by Barbara Shottenfeld White Barn Theater, Westport, CT, Gateway to the Arts -50th Anniversary, honoring Rob Marshall. King Hedley II, She Loves Me, The Cherry Orchard, Dancing at Lughnasa, Arcadia, A Midsummer Night’s Dream, Over the Tavern, All the Rage, Two Gentlemen of Verona, Tangles. Dorian Blues Day Dreamer Films Inc., The Boy Who Loved Trolls -PBS Wonderworks Series, Mister Roger’s Neighborhood WQED, Pittsburgh, Grandparent’s Day An Opera by Fred Rogers WQED, Pittsburgh.